Happy Mid-Autumn Festival! 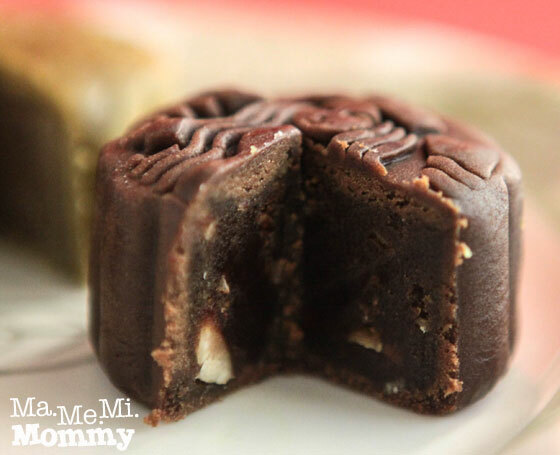 Penge mooncake! Today, September 8, marks the second most important festival to the Chinese after Chinese New Year. Held on the 15th day of the 8th month of the Chinese calendar, Mid-Autumn or Mooncake or Lantern Festival has its origins from when the ancient Chinese people worshipped the moon to bring about a bountiful harvest. 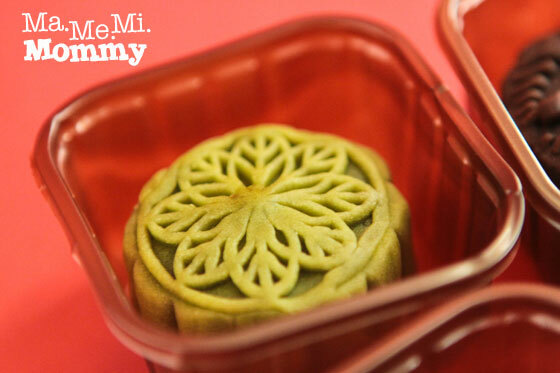 It is best celebrated by admiring the full moon (looks cloudy outside though…), making Mid-Autumn Chinese lanterns, and of course, eating mooncakes! 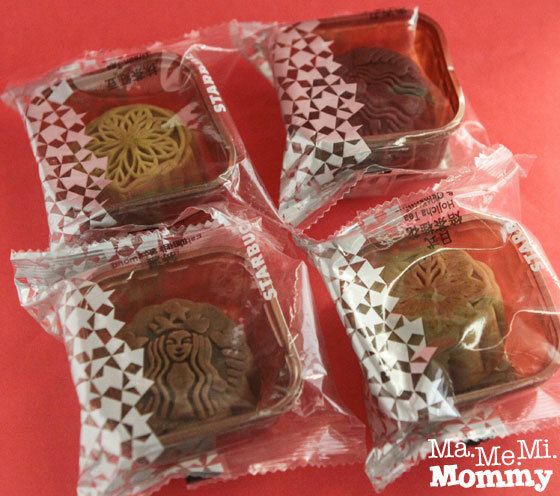 On that topic, I’d like to share with you the Starbucks mooncakes that I got as a gift. 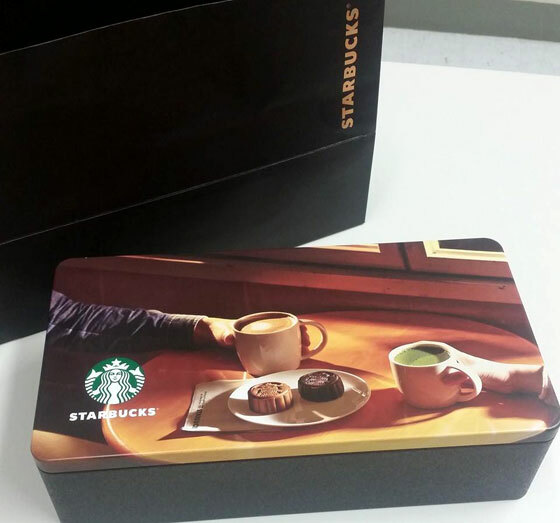 Wait, did you just read Starbucks and mooncakes together in one sentence? 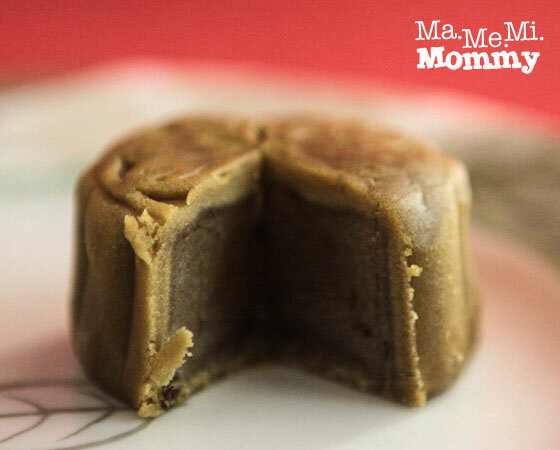 Bet you thought mooncakes were only from Eng Bee Tin and Starbucks only serve coffee, right? 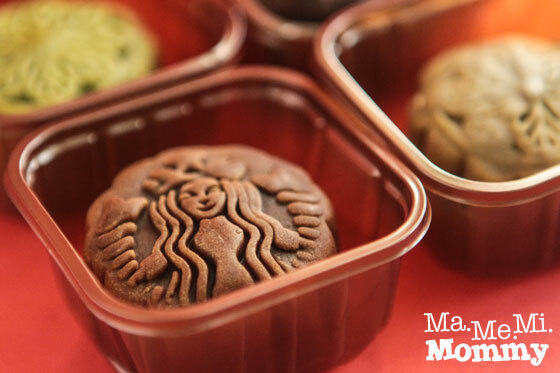 Well, let me correct you, there are mooncakes in Starbucks. Just not in Starbucks Philippines. Sorry. I was told that these were from Starbucks Hong Kong though they are also available in Macau, Thailand, Malaysia, Singapore, and of course, China. 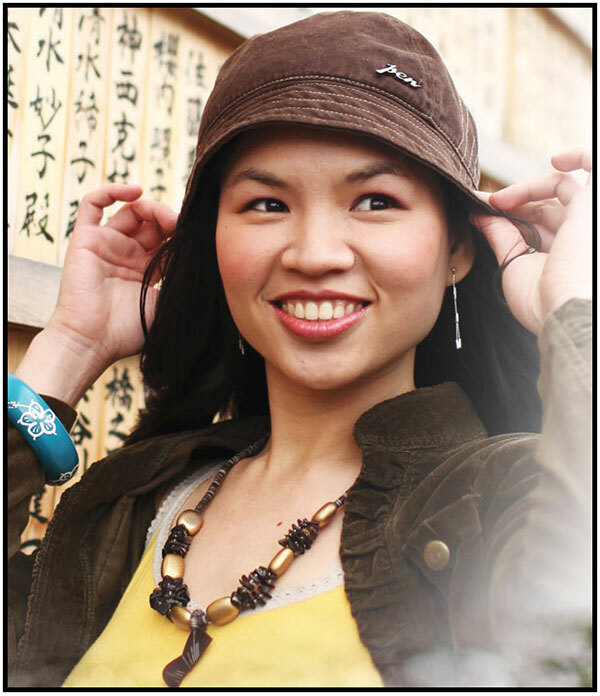 The tin can packaging however, is only available in Hong Kong and Macau. They come in a box of 8 (only 4 in the photo) with 4 flavors. These are the 4 flavors out of the plastic. 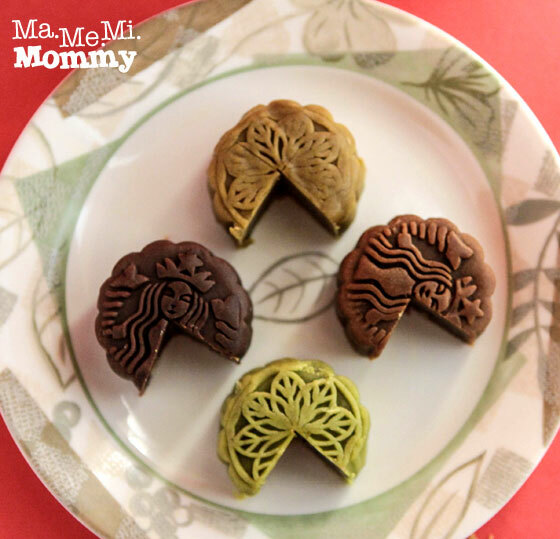 Clockwise from left: Green Tea & Red Bean, Espresso & Almond, Hojicha Tea & Osmanthus, Mocha Praline. 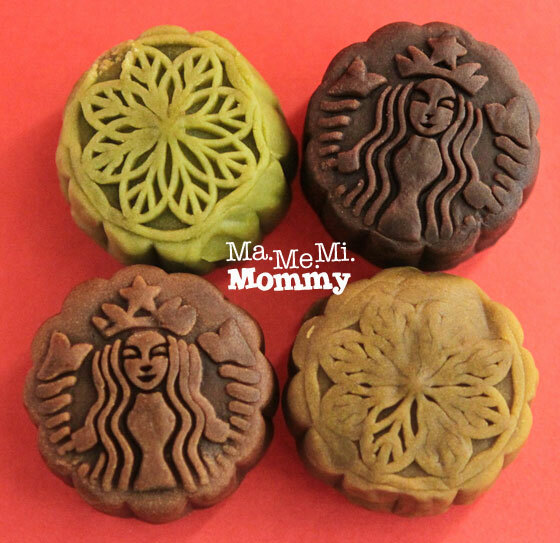 There Starbucks logo is nicely stamped into the mooncake. It’s too nice to eat! Oops for the flattened mooncake! The Espresso flavor has crunchy almond bits inside. In constrast with the smooth filling of the Green Tea and Red Bean. Oh what? 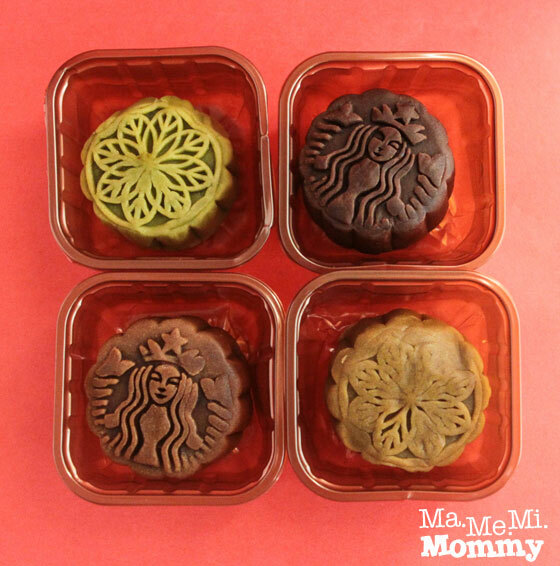 Starbucks mooncakes. Is this this something that they’re doing? Would be interested in trying next time.